LG recently made the official announcement of their all new Quad-Core processor Smartphone, named LG Optimus 4X HD.The new LG Optimus 4X HD Smartphone will show off at MWC 2012 which starts from tomarrow. 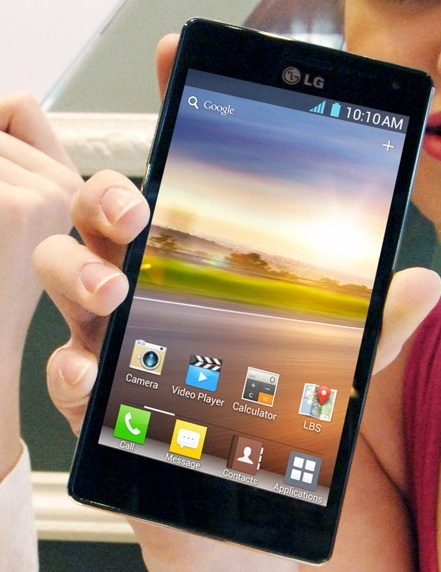 The new LG Optimus 4X HD smartphone is the first Quad-Core processor by LG and comes with high end performance.The smartphone has a prism-edged design with stylish look and housed with lot of excellent features. New LG Optimus 4X HD smartphone comes with a 4.7-inch True HD IPS display with 1280 x 720 pixel resolution and is powered with a 1.5GHzNVIDIA Tegra 3 quad-core processor.Optimus 4X HD smartphone packs a 1GB LP DDR2 RAM and 16GB internal memory. The Camera that packs with LG Optimus 4X HD smartphone is a an 8-megapixel BSI (Backside Illumination) sensor camera with flash at rear end and 1.3MP camera at front for clear video chating.Optimus 4X HD smartphone runs on Android 4.0 Ice Cream Sandwich OS and a bigh 2,150mAh battery providing better power supply. Tags:- Android 4.0from LG, LG Android 4.0 phone, Ice Cream Sandwich quad core smartphone, LG, LG Optimus 4X HD availability, Mobile World Congress, Mobile World Congress 2012, Optimus 4X HD, Phone, quad-core Tegra 3 smartphone,LG Optimus 4X HD smartphone Features, LG Optimus 4X HD smartphone images, Quad-Core HD smartphone, LG Quad-Core HD smartphone details, Quad-Core HD smartphone from LG, new Quad-Core HD smartphone availability. Toshiba Excite X10 tablet expected to be released on 29th February. Toshiba Excite X10 Android tablet equips a 10.1-inch touchscreen LED display with resolution of 1280 x 800 pixels and is powered with 1.2GHz TI OMAP 4430 dual-core processor along with 1GB RAM module. Other Features of new Toshiba Excite X10 tablet includes 5 megapixel camera at rear end and a 2MP front-facing camera for video calls, 1.5W speaker, Wi-Fi 802.11b/g/n, Bluetooth 2.1 and a MicroSD card slot(up to 32GB). 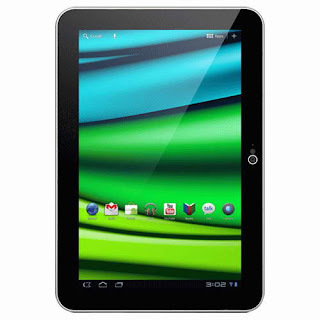 Toshiba Excite X10 tablet runs on Android 3.2 Gingerbread OS.The 3-cell battery of the tablet provides about 8 hours of use and almost 23 hours of standby time.Excite X10 tablet has a thckness of 7.7mm. Tags:-10-inch tablet, 10.1-inch toshiba tablet, Android 3.2 tablet, Excite X10, Future Shop new tablets, Gingerbread OS, tablet, toshiba new upcoming tablets, Toshiba Excite, Toshiba Excite X10, Toshiba Excite X10 tablet pre-order details, Toshiba Excite X10 tablet canada availability, Toshiba Excite X10 tablet price, Toshiba Excite X10 tablet specifications, Toshiba Excite X10 tablet review. 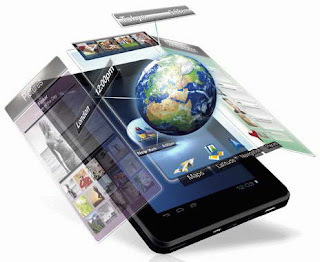 ViewSonic on its way to introduce its all new Android 4.0 tablet, named ViewSonic ViewPad G70 at the upcoming 2012 Mobile World Congress to be held in Barcelona from February 27 – March 1. The new ViewSonic ViewPad G70 tablet equips a 7-inch touchscreen display with 1024 x 600 pixel resolution with 1GB RAM and would likely to be powered with dual-core ARM chips as the information is not disclosed yet.The tablet as previously said runs on Android 4.0 Ice Cream Sandwich OS with ViewScene UI. Other Features of ViewSonic ViewPad G70 Android 4.0 tablet includes two-megapixel camera at rear end, a front camera, 4GB internal memory, 3G, Wi-Fi, Bluetooth, a microSD card slot, Mini HDMI, MicroUSB and Mini USB port. The new Android 4.0 ViewSonic ViewPad G70 tablet will be expected to be priced around $350 (about £220). Tags:- upcoming Android 4.0 tablet, Android 4.0 tablet from ViewSonic, ViewSonic ViewPad G70 Android 4.0 tablet price, ViewSonic ViewPad G70 Android 4.0 tablet features, ViewSonic ViewPad G70 Android 4.0 tablet specification, ViewSonic ViewPad G70 Android 4.0 tablet images. Various UK retailers recently started the sale of Unlocked version of Motorola Motoluxe Android smartphone.Below are the details of UK retailers selling sim free version of Motorola Motoluxe smartphone along with the price details. New Motorola Motoluxe smartphone includes 4-inch touchscreen display with FWVGA (854 x 480) resolution and is powered with a 800MHz processor along with 512MB of RAM.Motoluxe has an internal memory of 1GB and a 32GB card support microSD card slot. 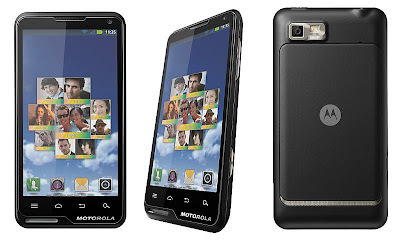 Other Motorola Motoluxe smartphone Features includes 8 megapixel rear camera with an LED flash, VGA front-facing camera, Bluetooth 3.0, HSDPA, 802.11 b/g/n Wi-Fi, and GPS.The Motoluxe smartphone runs on Android 2.3.7 Gingerbread OS paired with MotoSwitch UI. Tags:-Unlocked Motorola Motoluxe smartphone price, Unlocked Motorola Motoluxe smartphone UK price, price of Unlocked Motorola Motoluxe smartphone, Unlocked Motorola Motoluxe smartphone in UK, Unlocked Motorola Motoluxe smartphone UK availability, Unlocked Motorola Motoluxe smartphone retailers price list, UK retailers selling Unlocked Motorola Motoluxe smartphone. 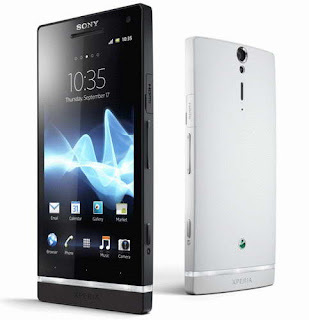 UK retailer Phones 4u recently started taking pre-order of the white version of new Sony Xperia S smartphone.According to the source the shipping date will start by March 13, 2012 with various plans from network vendors like Vodafone, O2 or Orange. The new White Sony Xperia S comes with a 4.3-inch touchscreen scratch resistant HD display with 1280 x 720 resolutions and is powered with a 1.5GHz dual-core processor along with 1GB RAM.The stylish Sony Xperia S has an internal memory of 32GB and runs on Android 2.3 Gingerbread OS along with an upgradable option to Android 4.0 Ice Cream Sandwich OS. Other Features of new White Sony Xperia S smartphone includes 12MP rear-facing camera with Sony Exmor sensor, 1080p video recording, front-facing camera for video calls, Wi-Fi, NFC, Bluetooth, GPS and DLNA support. Tags:-white Sony Xperia S smartphone, Sony Xperia S smartphone white shade price, Sony Xperia S smartphone white color pre-order, Sony Xperia S smartphone white details, white Sony Xperia S smartphone details, white Sony Xperia S smartphone UK price, price of white Sony Xperia S smartphone, white Sony Xperia S smartphone UK pre-order details, Sony Xperia S smartphone white UK availability, white Sony Xperia S smartphone pics, Sony Xperia S smartphone white images. 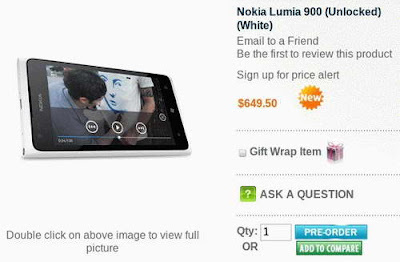 US retailer, Negri Electronics started takingthe pre-orders forthe unlocked white Nokia Lumia 900.The new white shaded unlocked Nokia Lumia 900 smartphone is now available for pre-order for a price tag of $649.50.The smartphone will work with AT&T, T-Mobile (EDGE only) networks and other countries. 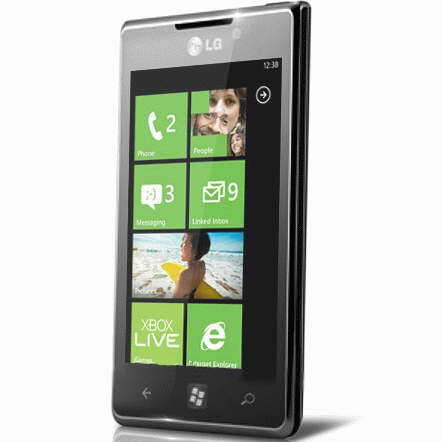 Nokia Lumia 900 houses a 4.3-inch AMOLED capacitive touchscreen display with 800 x 480 pixel resolution and Clear black glass.The Nokia Lumia 900 smartphone is powered with 1.4 GHz Scorpion Qualcomm APQ8055 Snapdragon processor along with 512 MB RAM and 16GB Internal memory. New Nokia Lumia 900 smartphone is the first Windows Phone smartphones to capable of 4G LTE connectivity and runs on Microsoft Windows Phone 7.5 Mango OS.Other Features includes 8 MP autofocus dual-LED flash camera, 1.3 MP front camera, Wi-Fi 802.11 b/g/n, Blutooth, GPS, Accelerometer and proximity sensor. Li-Ion 1830 mAh battery Nokia Lumia 900 smartphone is enabling up to 7 hours of talk time, up to 60 hours of music playback, or up to up to 300 hours of stand-by life time. Tags:- Lumia 900 white shade price, Lumia 900 white unlocked price, nokia mango os phone, Nokia lumina, Nokia Lumia 900 white shade price, Nokia Lumia 900 white price, Nokia Lumia 900 white edition details, Nokia Lumia 900 white unlocked pre-order, Unlocked Nokia Lumia 900 smartphone price, Unlocked White Nokia Lumia 900 preorder price tag, White Nokia Lumia 900. US online retailer Buy.com now started the sale of all new HTC Flyer refurbished tablet with a much low price tag of just $199.99 along with free shipping.The new tablet is a refurbished version of HTC Flyer tablet. 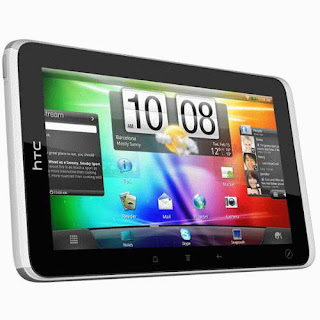 The refurb HTC Flyer Tablet equips a 7-inch touchscreen display with 1024 x 600 resolutions and is powered with a single-core 1.5GHz Qualcomm Snapdragon processor along with 1GB RAM.The tablet runs on Android 2.3 Gingerbread with HTC’s Sense UI. HTC Flyer refurbished tablet Features 5 megapixel rear-facing autofocus camera, 720p HD video recording, front 1.3MP camera, Wi-Fi 802.11b/g/n, Bluetooth 3.0, GPS, ambient light sensor, G-sensor, and digital compass, microSD card slot and a 4,000mAh battery. New HTC Flyer refurbished tablet weighs weighs 14.82 oz and has a diamension of 7.7 x 4.8 x 0.52 inches. 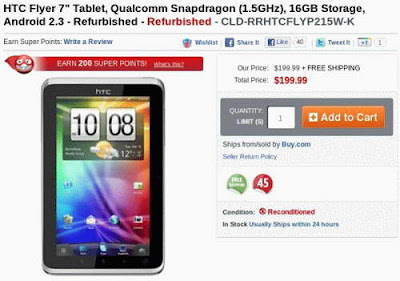 Tags:-7-inch tablet low price, Android 2.3 tablet, Bluetooth 3.0 tablet, Flyer low price edition, HTC low price tablet, HTC Flyer tablet, HTC Flyer refurbished version price, refurb HTC Flyer tablet, HTC Flyer refurbished tablet price, HTC Flyer refurbished tablet us price, HTC Flyer refurbished tablet features, HTC Flyer refurbished tablet specification, HTC Flyer refurbished tablet details. Panasonic recently made the official announcement of its all new waterproof Android smartphone, named Panasonic SoftBank 102P.The new Panasonic SoftBank 102P smartphone has equipped enclosed within a waterproof and dust proof body and will be available in japan by March 2012 via SoftBank. New Panasonic SoftBank 102P waterproof Android smartphone equips a 4.3-inch OLED capacitive touchscreen display with qHD (540 x 960) resolutions and is powered with dual-core 1GHz TI OMAP 4430 processor along with 1GB RAM module. Panasonic SoftBank 102P Android smartphone runs on Android 2.3 Gingerbread OS and has an internal memory of 16GB.Other features of Panasonic 102P Android smartphone includes 8.2-megapixel rear-facing autofocus camera, front facing camera, Wi-Fi, Bluetooth, GPS, mobile wallet and has the capability to connect to Blu-ray players for playback. 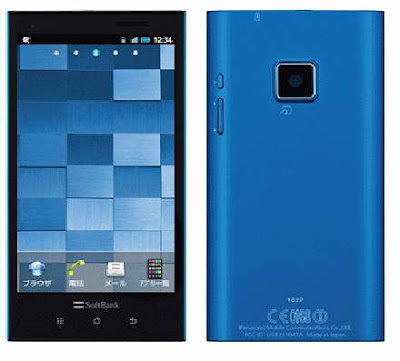 All new Panasonic SoftBank 102P waterproof Android smartphone also has additional features like earthquake early warning facility and emergency e-mail bulletin supports.The 1150 mAh Li-Ion battery of the smartphone is capable of providing almost 5 hours of talk time and up to 310 hours of standby time. Panasonic 102P Android smartphone weighs just 103 grams and its dimensions are 123 x 62 x 7.8 mm ie the handset has a thickness of just 7.8mm. Tags:-waterproof handset, waterproof android handset, waterproof handset in japan, panasonic waterproof handset, Panasonic smartphone, Panasonic SoftBank 102P waterproof Android smartphone features, Panasonic SoftBank 102P waterproof Android smartphone details, Panasonic SoftBank 102P waterproof Android smartphone specs, Panasonic SoftBank 102P waterproof Android smartphone images, Panasonic SoftBank 102P waterproof Android smartphone wallpapers. 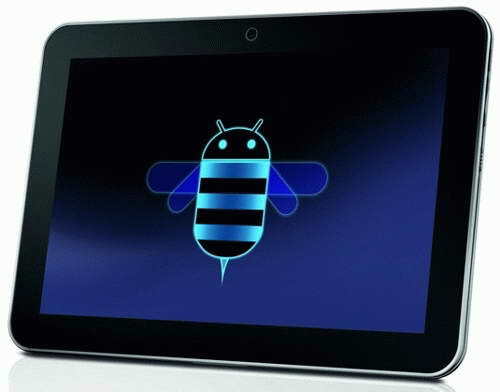 ZTE recently introduced in UK market its all new tablet, named ZTE V9A Light Tab II.UK retailer, Clove already started tking pre-order of ZTE V9A Light Tab II with an affordable price tag of £234.99 (3G-ready) and the shipping will start by the end of this month . 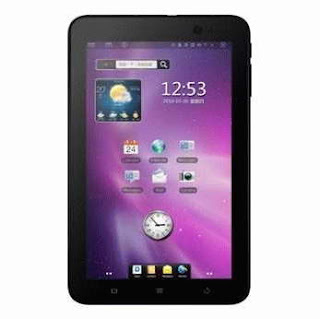 The new ZTE V9A Light Tab II Tablet comes equipped with a 7-inch capacitive touchscreen display with 1024 x 600 resolutions and is powered with a single-core 1.4GHz processor along with 512MB RAM.ZTE V9A Light Tab II Tablet runs on Android 2.3 Gingerbread OS. Other Features of ZTE V9A Light Tab II Tablet includes 3.2MP rear-facing camera, 0.3-megapixel front camera, 4GB internal memory, and a microSD card slot. 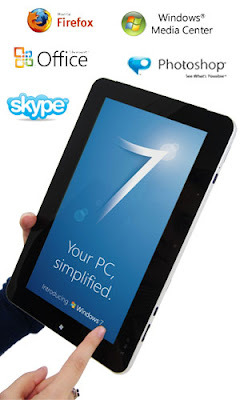 For connectivity options the tablet includes 14.4 Mbps HSDPA, Bluetooth 2.1, and Wi-Fi 802.11b/g/n. 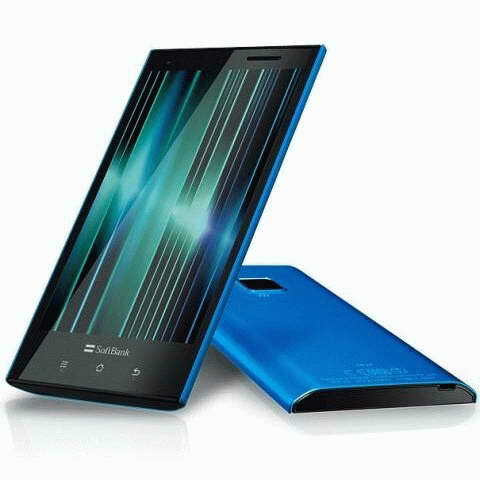 ZTE V9A Light Tab II Tablet weighs weighs 402g and its dimensions are 202 x 122 x 12.6 mm.The tablet also packs a 3,400 mAh battery as power supply. 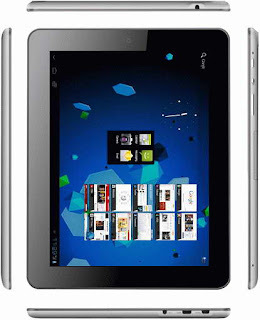 Tags:- affordable android tablet, tablet in uk, low price tablet, low priced tablet in uk, ZTE V9A Light Tab II Tablet price, ZTE V9A Light Tab II Tablet features, ZTE V9A Light Tab II Tablet specification, ZTE V9A Light Tab II Tablet details, ZTE V9A Light Tab II Tablet launch, ZTE V9A Light Tab II Tablet release. LG on its way to introdce its all new smartphone, named LG Miracle.The new LG Miracle will be expected to show off in the upcoming Mobile World Congress 2012 that is going to held in Barcelona, Spain from February 27 – March 1.The handset runs on Windows Phone operating system. According to the available information the new LG Miracle will be equipped with a 4-inch multitouch NOVA display with a resolution of WVGA (480 x 800 pixels).The feature of NOVA display is that it consumes less power and have high brightness and also provides ‘pure’ white and ‘deep’ black. New LG Miracle smartphone comes powered with 1GHz Snapdragon processor and has an internal memory of 8GB.Other features of LG Miracle smartphone includes 5MP camera at rear-end, 720p HD video recording, 0.3-megapixel front camera, Wi-Fi 802.11a/b/g/n, Bluetooth 3.0, and NFC chip. Tags:- LG Miracle smartphone features, LG Miracle smartphone details, LG Miracle smartphone specs, LG Miracle smartphone images, LG Miracle smartphone wallpapers, nova display, about nova display, what is nova display. Australian manufacturer Pioneer Computers recently started taking the pre-order for its all new Android ICS tablet, named DreamBook Z97.The new DreamBook Z97 tablet is now available for a price tag of $499. Let's take a look into the Features and Specification of the new DreamBook Z97 Tablet.First of all the DreamBook Z97 Tablet equips a 9.7-inch multitouch display with 1024 x 768 pixel resolution and has a 4:3 aspect ratio.The DreamBook tablet is powered with a 1.5GHz ARM Cortex-A9 quad-core processor along with a 1GB RAM and storage options comes in 8GB/16GB/32GB/64GB/128GB SSD. Other Features includes choice of cameras: for rear-end 2MP/5MP/8MP and front-facing camera options are 1.3MP/2MP, Wi-Fi 802.11b/g/n, Bluetooth 2.0, GPS, stereo speakers, light sensor, G-Sensor, Mini HDMI, MicroUSB 2.0 ports, a microSD card slot along with the optional availability of 3G mobile network. The new Pioneer Computers DreamBook Z97 runs on Android 4.0 Ice Cream Sandwich OS.The tablet packs a 3800mAh Li-Polymer battery capable of providing up to 8 hours of life once full charged. DreamBook Z97 weighs 560 grams and has a dimension of 241 x 188 x 9.5 mm. Tags:-Pioneer Computers DreamBook Z97 Ice Cream Sandwich-based tablet price, Pioneer Computers DreamBook Z97 Ice Cream Sandwich-based tablet details, Pioneer Computers DreamBook Z97 Ice Cream Sandwich-based tablet specs, Pioneer Computers DreamBook Z97 Ice Cream Sandwich-based tablet images, Pioneer Computers DreamBook Z97 Ice Cream Sandwich-based tablet features, Pioneer Computers DreamBook Z97 Ice Cream Sandwich-based tablet availability, Pioneer Computers DreamBook Z97 Ice Cream Sandwich-based tablet processor, Pioneer Computers DreamBook Z97 Ice Cream Sandwich-based tablet camera option. 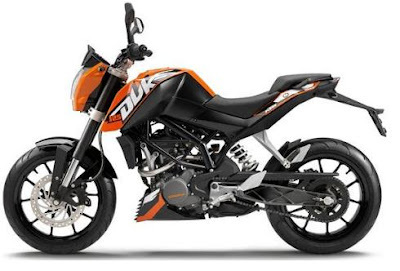 Europe’s second largest motorcycle manufacturer KTM through Bajaj recently introduced their first bike named KTM 200 Duke in Indian market.The new KTM 200 Duke now available India for a price tag of Rs. 1,17,500(Ex-showroom).Bajaj also started the booking of the new KTM 200 Duke through its 34 Bajaj's pro-biking showrooms with a booking price of Rs. 20,000. The new KTM 200 Duke equips a 199.5cc petrol engine with a max power of 25 bhp at 10000 rpm and a peak torque of 19.2 nm at 8000 rpm.For more detailed specification and features click-> KTM 200 Duke Specification and Features. Tags: KTM 200 Duke price, KTM 200 Duke images, KTM 200 Duke booking details, KTM 200 Duke india booking, KTM 200 Duke india price, KTM 200 Duke top speed, KTM 200 Duke mileage, KTM 200 Duke features, KTM 200 Duke engine specs, KTM 200 Duke pics, KTM 200 Duke photogallery, KTM 200 Duke colors, price of KTM 200 Duke, KTM 200 Duke india avilability, KTM 200 Duke booking centers, KTM 200 Duke on road price. Canon recently introduced a new stylish rugged compact camera, named Canon PowerShot D20. 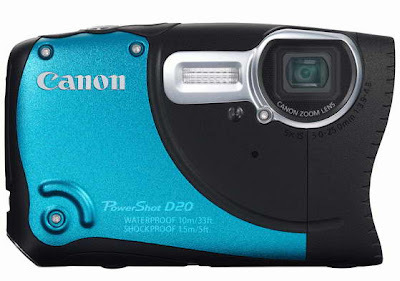 The new Canon PowerShot D20 is able to withstand extreme conditions like extreme temperatures of 14F till 104F, up to 33 feet deep in water and a fall from a height of up to 5 feet.The button layout of the PowerShot D20 is provided with gloves that helps to survive underwater and snow conditions. Canon PowerShot D20 camera packs a 3-inch LCD display and includes 12.1-megapixel 1/2.3-inch BSI CMOS sensor with optical image stabilization system. PowerShot D20 rugged camera from Canon features a 5x optical zoom (28-140mm focal in 35mm) and Digic 4 processor.The camera has a shutter speed range of 15-1/1600s and sensitivity range of ISO 100-3200. 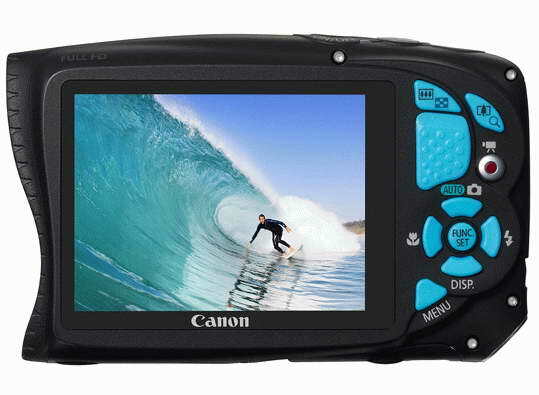 Other features of Canon PowerShot D20 rugged camera includes GPS, USB 2.0 SD/SDHC/SDXC card slot and Mini HDMI connectors. The camera weighs 230 grams and has a dimension of 112 x 71 x 28 mm. Canon PowerShot D20 rugged camera will be available for sale from May 2012 with a price tag of $350. Tags:- Canon PowerShot D20 rugged camera price, Canon PowerShot D20 rugged camera features, Canon PowerShot D20 rugged camera images, Canon PowerShot D20 rugged camera wallpapers, Canon PowerShot D20 rugged camera pics, Canon PowerShot D20 rugged camera specs, Canon PowerShot D20 rugged camera specifications, Canon PowerShot D20 rugged camera details, Canon PowerShot D20 rugged camera availability, Canon PowerShot D20 rugged camera launch. Netbook Navigator recently introduced their latest windows based tablet, named Netbook Navigator NAV10T.The new Netbook Navigator NAV10T Tablet runs on Windows 7 (Home Premium, Professional, or Ultimate) 32-bit operating system. New Netbook Navigator NAV10T Windows 7 tablet equips a 10.1-inch capacitive touchscreen display with 1366 x 768 pixel a resolution along with multitouch support. NAV10T Windows 7 tablet is powered with a 1.66GHz Intel Atom N570 dual-core processor and includes 2GB of DDR3 RAM.The storage options are 16GB/32GB/64GB/128GB solid state drive and supports MicroSD card. 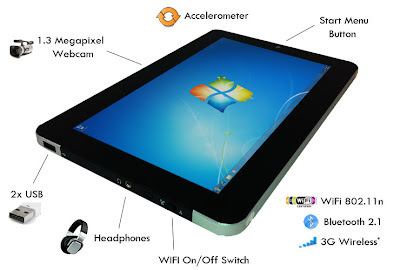 Other features of Netbook Navigator NAV10T Windows 7 tablet includes 1.3-megapixel camera, stereo speakers and for connectivity the tablet includes Wi-Fi 802.11n, Bluetooth 2.1, two USB 2.0 port along with Huawei 3G Broadband mobile networks comes as optional. Netbook Navigator NAV10T Windows 7 tablet houses 2200 mAh Li-Ion battery.The tablet has a weight of 680 grams and its dimensions are 270 x 175 x 17.5 mm. New Netbook Navigator NAV10T Windows 7 tablet comes with a price tag that starts with $500. Tags:- windows based tablet, windows 7 tablet, tablet with windows 7 OS, new windows tablet, windows 7 tablet prices, Netbook Navigator NAV10T Windows 7 tablet images, Netbook Navigator NAV10T Windows 7 tablet features, Netbook Navigator NAV10T Windows 7 tablet specs, Netbook Navigator NAV10T Windows 7 tablet specifications, Netbook Navigator NAV10T Windows 7 tablet details, Netbook Navigator NAV10T Windows 7 tablet price tag. Toshiba recently made the availability of its all new tablet Toshiba AT200 in UK market via British retailer, Carphone Warehouse.The Toshiba AT200 is already available in US market named as Toshiba Excite 10. The new Toshiba AT200 Tablet equips a 10.1-inch touchscreen LED-backlit display with 1280 x 800 pixel resolution and with Gorilla Glass.The tablet is powered with a dual-core 1.2GHz TI OMAP processor along with 1GB RAM. Other features includes 5 megapixel camera, 720p video recording, 2MP front-facing camera and A-GPS, HDMI, and Wi-Fi 802.11 b/g/n for connectivity options. Toshiba AT200 tablet is the world’s thinnest tablet that runs on Google Android 3.2 Honeycomb OS with a thickness of just 7.7mm.The tablet weighs 535 grams and is having a stylish brushed metal design. In US market the Tablet is available as Toshiba Excite 100 with a price tag of $529.99. 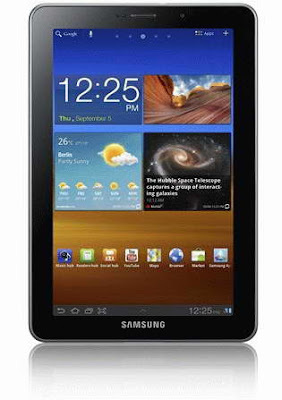 Tags:- Toshiba AT200 Tablet UK price, Toshiba AT200 Tablet features, Toshiba's thinnest tablet in uk, Toshiba AT200 Tablet features, images, Toshiba AT200 Tablet availability, Toshiba AT200 Tablet uk availability, Toshiba new Tablet in UK. 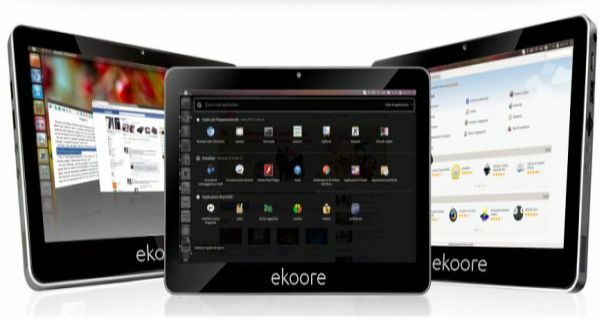 Ekoore recently started the sale of their all new tablet named, Ekoore Python S.The exciting fetures of the new Ekoore Python S tablet is that it come with three operating systems that gives user a chance to select from Android 3.2 Honeycomb, Ubuntu Linux 11.10 or Windows 7 OS. Let's take a look on the specification and features of the new Ekoore Python S tablet. The Ekoore Python S comes with a 10.1-inch capacitive touchscreen display with a resolution of 1024 x 600 pixels and is powered with a 1.66GHz Intel Atom N455 processor along with 1GB / 2GB of RAM and with storage options of 16GB / 32GB/ 64GB that can be expandable via a MicroSD card. Other features of new Ekoore Python S tablet includes a 1.3 megapixels camera, Bluetooth, Wi-Fi, 3G, GPS, an accelerometer and two USB ports. The tablet weighs 840 grams and has a dimension of 274 x 170 x 14.5 mm.The battery of Python S tablet provides about 5 hours life. 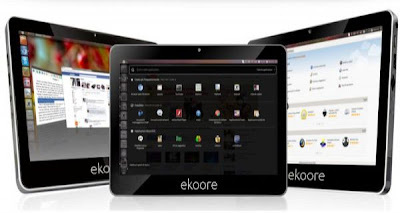 The new Ekoore Python S tablet is now available for a price tag of 500 EUR. OS Details : Android 3.2 Honeycomb, Ubuntu Linux 11.10 or Windows 7 OS. Tags:- Ekoore Python S tablet price, Ekoore Python S tablet features, Ekoore Python S tablet os details, Ekoore Python S tablet specs, Ekoore Python S tablet availability, Ekoore Python S tablet images, Ekoore Python S tablet price details. 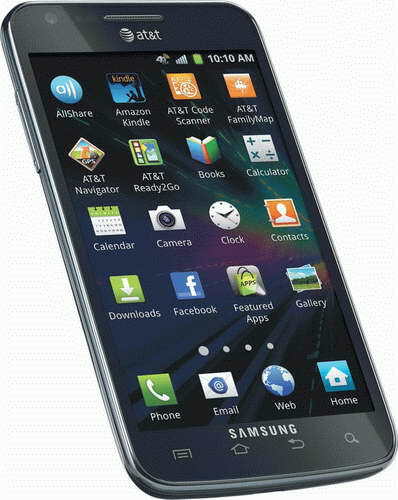 Samsung recently made the official introduction of the white shade version of its Galaxy Nexus smartphone. But as the picture suggests its not fully white colored . According to the official announcement the new White Samsung Galaxy Nexus smartphone will be available in UK markets from February 13, 2012. The features and specification of the white-colored Galaxy Nexus smartphone is similar to the original version, Which includes 4.65-inch touchscreen HD Super AMOLED display with a resolution of 1280 x 720 pixels.The Samsung Galaxy Nexus smartphone powered with a a 1.2GHz dual-core processor along with a 1GB RAM. Other features of Samsung Galaxy Nexus smartphone includes a 5MP rear-facing autofocus camera, 1.3MP front-facing camera for video calling, 16GB / 32GB built-in storage, NFC, HSPA+ support and connectivity options like Wi-Fi 802.11 a/b/g/n, Bluetooth 3.0 and a USB 2.0 port. The new Samsung Galaxy Nexus smartphone is the first smartphone that runs on Android 4.0 ICS OS.The smartphone also packs a Li-on 1,750 mAh battery. 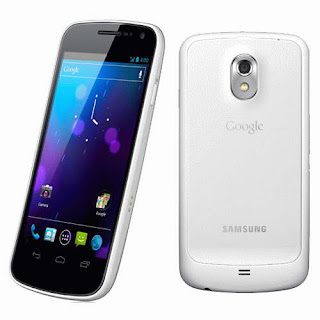 Tags:-White Samsung Galaxy Nexus smartphone specs, White Samsung Galaxy Nexus smartphone details, White Samsung Galaxy Nexus smartphone features, White Samsung Galaxy Nexus smartphone vailability, White Samsung Galaxy Nexus smartphone launch, White Samsung Galaxy Nexus smartphone shades. HTC recently inroduced the white version of HTC Sensation smartphone with OS updated to Android 4.0 Ice Cream Sandwich OS.The new white shaded version of HTC Sensation smartphone will be available in markets from the 1st March 2012. 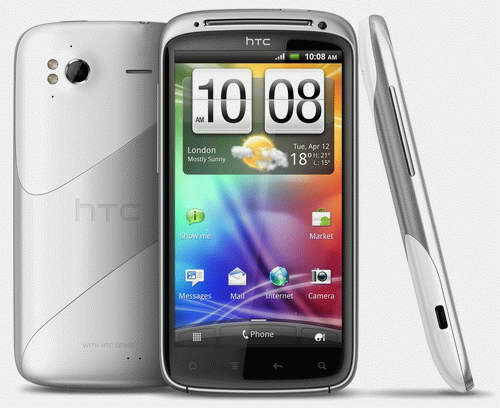 The new HTC Sensation smartphone equips a 4.3-inch touchscreen qHD display with features including 8-megapixel camera, a VGA front-facing camera, Bluetooth 3.0, 802.11 b/g/n Wi-Fi, media player everything similar to the oiginal model except the Android 4.0 Ice Cream Sandwich OS.